This exhibition presents the making processes of Donna Sgro and Cecilia Heffer together for the first time. The exhibition will feature documentation of completed and uncompleted works by both practitioners, including photography, garments, textiles, drawings and journaling. The exhibition will reveal how the sensitized handling of cloth is core to both practices, and how various stages of making are represented in different mediums. 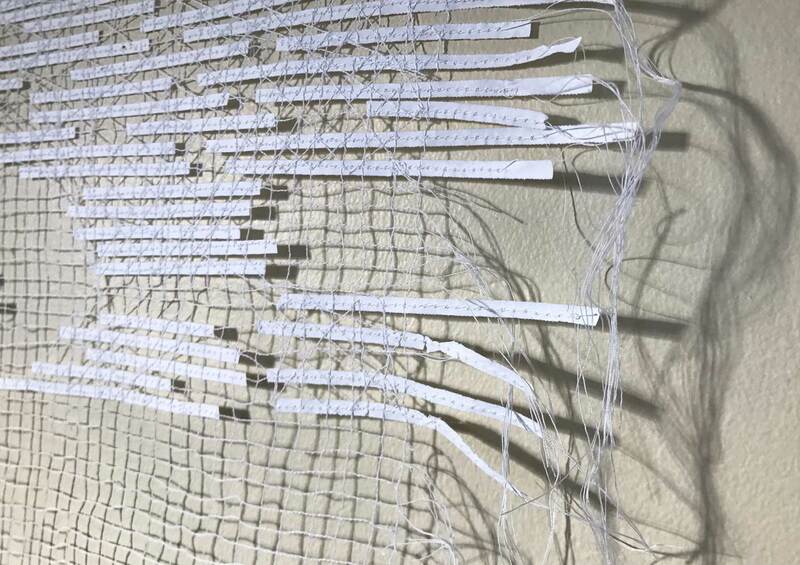 Fashion and textile practitioner and academic, Donna Sgro exhibits new work which explores crafting the garment using her distinctive method called Dynamic Cutting. As a creative pattern cutter, Sgro makes one-off garments by hand. This involves crafting the surface of the garment at the same time as its overall shape and form, subverting the process of traditional pattern cutting, which relies on using rigid structures such as body templates, garment blocks, and conventional garment shapes. Each garment made using the method of Dynamic Cutting is unique. The method of Dynamic Cutting was developed through Sgro’s PhD research, where insights from a study of butterfly metamorphosis were developed metaphorically into a pattern cutting process. Phd candidate at RMIT University, Cecilia Heffer is a textiles practitioner combining teaching with research, art practice and curation focusing on innovative textile concepts. 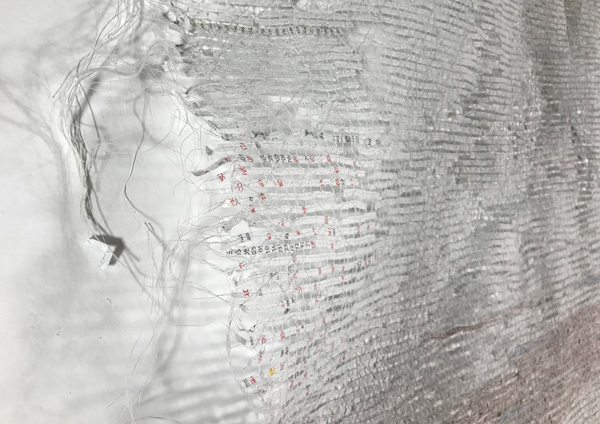 The exhibition will include her 100 Swatch Project which transforms shredded office documents into ethereal expressions of lace through a unique stitching and dissolving process. The sequential process privileges the maker as the authority of interpretation, to share ‘slow looking’ and to make connections between sets of relationships. The intention is to demonstrate how lace structures can serve to illuminate embodied relationships between textiles and place. In this instance, the construction of a dissolving lace surface can be regarded as a site for the projection of our collective experience of migration, movement and impermanence. A performance of making will occur daily in the exhibition space from 12-16 October, 10am-2pm. The creation of new works will emerge in the gallery space, as making is performed piece-by-piece. The space will slowly transform during the duration of the exhibition, by evidencing the making which has occurred. Donna Sgro, Fractured Garment, 2017, Silk, variable dimension. 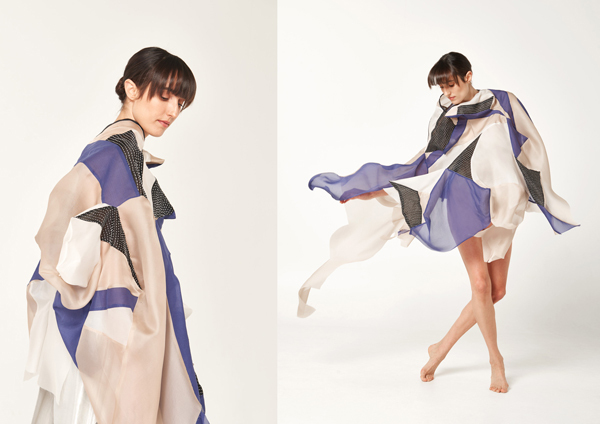 Donna Sgro, Transitioning Garment, 2015, silk, variable dimension, photo by Lin Wei. ‍Cecilia Heffer, 100 Swatch Project, 2018, shredded office documents and thread, 42cm x 29.7cm. Cecilia Heffer, 100 Swatch Project, 2018, shredded office documents and thread, 42cm x 29.7cm.